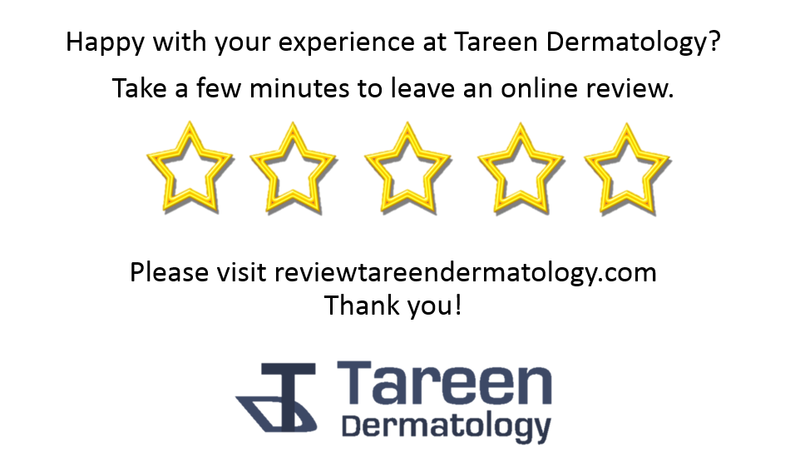 Tareen Dermatology Reviews – See what patients are saying about their Tareen Dermatology experience! See what patients are saying about their Tareen Dermatology experience! Patient of Dr. Tareen? We would appreciate your help! We would sincerely appreciate if you took the time to leave us an online review detailing your positive experience with Dr. Mohiba Tareen and her staff. It would mean the world to us! Reviews are incredibly important for businesses in any industry, as consumers turn to the internet to share their experiences at restaurants, retailers, and even health service providers. In fact, a 2014 study by Fox Business News found that 90% of consumers are influenced by positive online reviews. Furthermore, recent changes in Google’s search engine have placed an even greater emphasis on what people are writing at popular review sites, so any business owner looking for online exposure simply MUST have a solid collection of testimonials on these platforms! Do you have a Google account like Gmail or Google+? The neat thing about Google Reviews is that they show up in the Google Local results when people are searching for dermatologists in the Twin Cities. Make sure you are signed into your Google account. If you don’t have one, create it here. Yelp is known as one of the most popular places to find great restaurants and food trends, but they offer reviews on many other industries as well. Log into your Yelp account from your mobile device or the Internet. 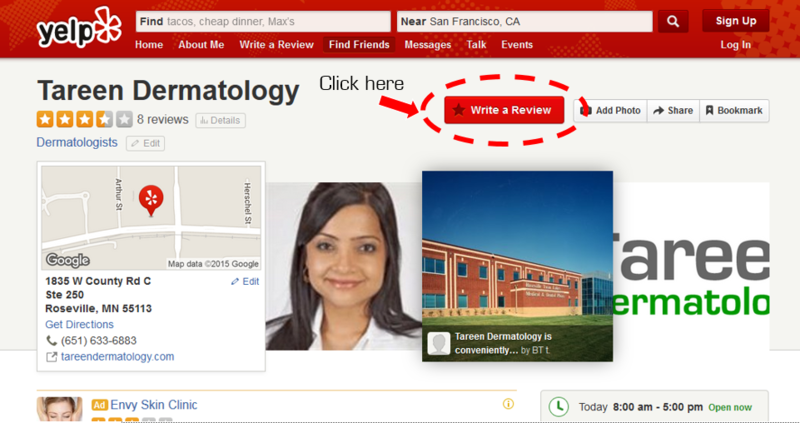 Type in “Tareen Dermatology” in the search bar, with the location “Minneapolis” selected. OR visit the link directly here. 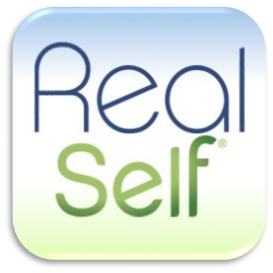 Do you like scanning the RealSelf forums? This site is one of the largest cosmetic surgery communities online with more than 36 million unique visitors per year. In addition to reviews, they also include photos and doctor Q&As that patients find valuable in their search for providers and information. Visit our RealSelf page here. Nearly 1 million people rely on the research and reviews from the Healthgrades website. Their aim is to help people find the right healthcare professional by including information on patient satisfaction and facility quality. 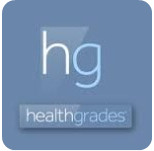 Visit our Healthgrades page by clicking this link. As this infographic clearly shows, people love writing online reviews! Most of their reviews are POSITIVE in nature and aim to help others make more informed decisions. Since people rely on review sites themselves, they see this as a way of “giving back” to the free communities. Consumers believe in rewarding great businesses with positive feedback, too. 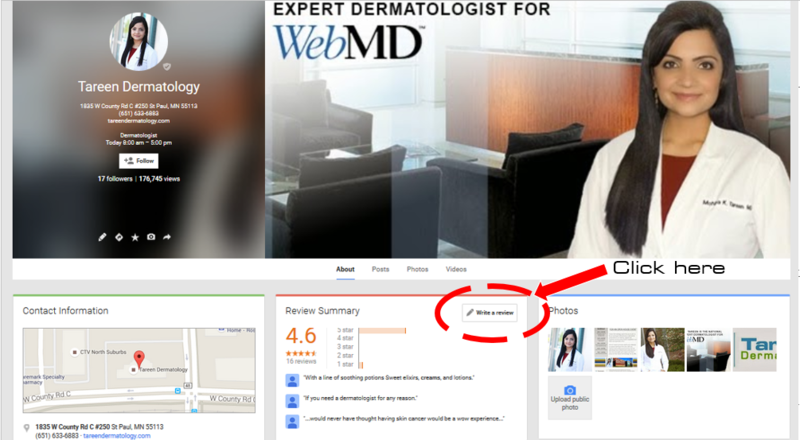 You can leave reviews on multiple sites, wherever you feel comfortable. We read all reviews on these sites and greatly appreciate hearing about what you feel made your experience so pleasant. Dr. Tareen derives satisfaction from seeing the wonderful transformations that take place in her office, but she also enjoys hearing how the results have improved the lives of her patients once they walk out the door. Thank you for your time and effort!